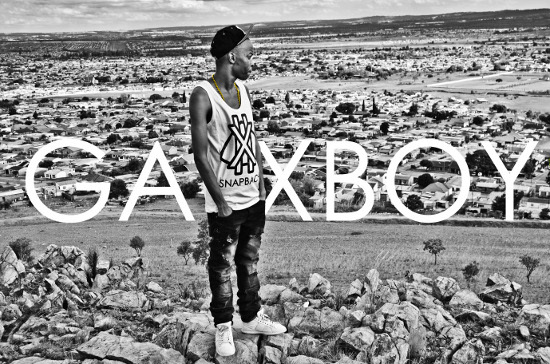 GALXBOY – THE FUTURE OF HIP HOP FASHION? How and when did the movement begin? It Started 2008 June/July while I was in high school. It was called “Cheese Boy” back then. I changed it to “GALXBOY”. In 2011/2010 the name appealed to a broader market locally & internationally but the movement really kicked off beginning of 2012 where the brand was revived and revamped. What is the whole concept behind GALXBOY? Basic idea Of GALXBOY is “what girls & boys do because of each other” there’s a billions things we do because of each other; all the scenarios I’ve experienced & ones I’ve seen or heard of contribute to the designs. The exposure the brand has been receiving just seems to get better. Are there any specific people who help push the brand? Well our goal is to sell fashion & not popularity. We don’t’ want to force it on to people by paying a celeb to wear it. People that push GALXBOY are people who appreciate and believe in it and we appreciate them. There are many other brands out there that have gained a certain level of success/failure. What would you say really separates the galxboy brand from the rest? What separates us from other local brands is that they design because they need to pay bills and we design to try and take SA street fashion to a more competitive level in terms of design, because most local brands spend more time and money on marketing than on their own products. What range of clothing does galxboy offer? At the moment we have t-shirts, tank tops and snap backs, but you can look forward to our full range which contains college jackets, beenies, denim jackets, leggings, pants, hand bags, leather jackets, sweaters and nail polish in the coming years. How/where can one get their hands on some galxboy clothing? We have an online store www.galxboy.com where you can get our products, otherwise you can follow us on twitter(@GALXBOY) & facebook(GALXBOY) for any future retail news. What can we expect in future? any other projects taking place? You can expect unique quality products. Hopefully a few collaborations with other local brands and pushing fashion over popularity.